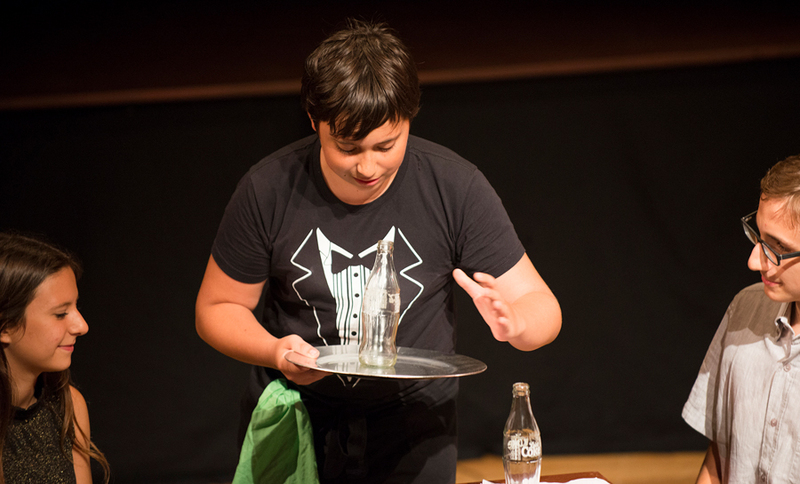 All students who journeyed to Lugano for the 2018 TASIS Summer Programs in Switzerland spent approximately three weeks diligently preparing for a series of live performances while also exploring a huge variety of artistic disciplines, including musical theater, singing, percussion, ukulele, guitar, keyboard, electronic music production, African drumming, Orff ensemble, dancing, songwriting, and comedy writing on the performing arts side and landscape painting, studio art, digital photography, robotics, STEAM, and architecture and design on the visual arts side. The culmination of all this hard work and artistic exploration was on full display at the 2018 Summer Arts Festivals, which ran from July 16–18 (session one) and August 8–10 (session two). These annual celebrations of the arts provide students a platform to share the incredible work they create under the guidance of their accomplished visual arts teachers and the unparalleled Dedicated Performing Arts Team (DPAT). It is absolutely magical to watch so many students perform, some even for the first time and most in a language other than their own. On keeping with our theme of discovery, so many students have dared to try something new, discovered new passions, and tapped into their endless potential! There is great joy in discovery and that is evident on campus throughout the session and especially in these few days of performances. Here at TASIS, we prioritize the students as co-collaborators in the artistic process. They have had great input in every performance this summer, everything from writing lyrics to choreographing dances to building the sets! Every child is indeed born an artist, and the Summer Arts Festival is a wonderful opportunity to see them shine. We applaud each and every student here this summer, as it takes great courage to explore the unknown and to share their revelations with a new audience. We couldn’t be more proud. Please enjoy a recap of the 2018 Summer Arts Festivals below. 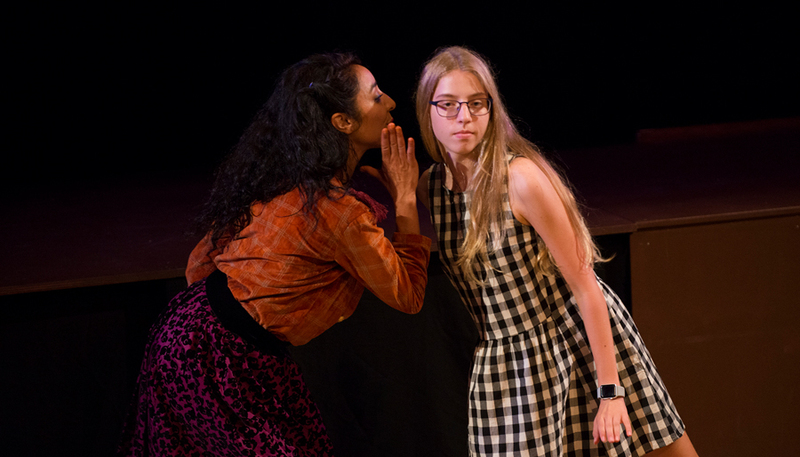 TSP students performed the original musical The Prince of Poyais in the Palmer Center on the evenings of July 17 and August 9. Kyle Adkins directed the musical and wrote the libretto, and TJ Liquori and Rosenbaum wrote the music and lyrics. Director’s Note: This fascinating true story has much to teach us about the power of personality, the dangers of greed, and the virtue of reason. It’s important to learn from our historical mistakes, and by examining the story of Gregor MacGregor, perhaps we can prevent the next con from taking hold. But this show is about more than one man—it’s about all the people his schemes affected. How were they fooled? How did their own confidence, or lack thereof, leave them susceptible to trickery? And what did they do once they learned the truth? The Prince of Poyais was filmed each session and can be viewed in its entirety in the clips below. Photo galleries can be found on the TASIS SmugMug page: session one and session two. 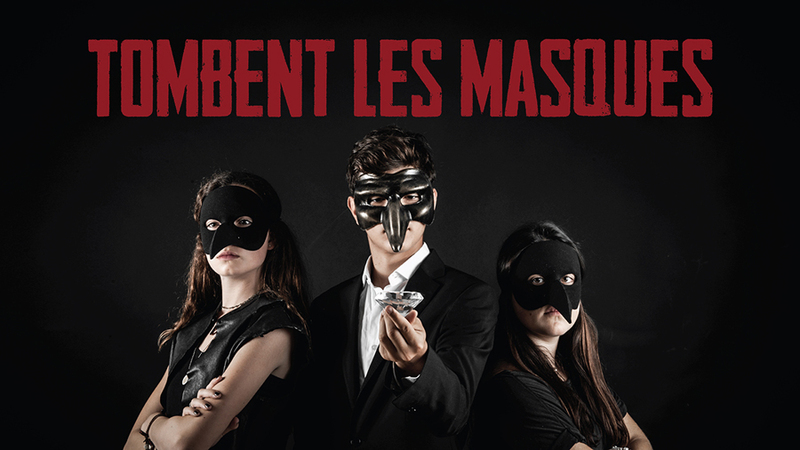 French Drama/Dance presented the original film Tombent les masques, which was directed by Dale Thiessen, Jenny Pommiss, and Sofia Naït and written by student Can Bermek Basoglu. Director’s Note: The TSP French Drama student and the TSP Dance students brought a wonderful energy to every class. Though they all came in with different goals, their teamwork and playful attitudes created an atmosphere of improvement for all. Tombent les masques is a collaboration and the culmination of work in drama, the French language, the filmmaking process, and dance. English 5-6/Lean Startup presented Truthful News, which was directed by BriAnna Johnson and written by the students in the TSP English 5-6 and Lean Startup classes. Synopsis: At the Truthful News studio nothing is going right for the show’s producer, Joanna. Her lead anchor just quit, and she has 30 minutes till they air. Things get interesting when she decides to hold auditions to replace him. Will Joanna find someone in time? Will the Truthful News air? Director’s Note: Drama students in English 5-6 & Lean Startup spent this session learning different acting techniques such as pantomime, improvising, character development, and much more. Together they created the story and characters and were script writers as well. We are so excited to show you what we have been working so hard on! English Drama 2-4 presented In the Cards, which was directed by Stephanie Figer and written by the students of TSP English Drama 2-4. Synopsis: A plane crash lands two traveling friends and a snobby socialite in the middle of a remote desert. An eccentric recluse warns them not to go into the city, claiming that the king and queen who rule it are mad. They ignore his advice—and soon regret it. Through their chance meeting, they all learn lessons about the effects of isolation, wealth, and suspicion toward our fellow man. Director’s Note: The English 2-4 students were tasked with crafting an original story in just under one week and spent the following two weeks hard at work bringing it to life for all of you! They took turns sharing their ideas, writing and editing lines, and improvising their way to the play you are about to see. We hope you enjoy their work! Italian/Academic Writing presented La Partita, which was directed by Stephanie Figer and Luan Marletta and written by the students of TSP Italian/Academic Writing. Synopsis: An American family is looking forward to their trip to the World Cup Final, but things are off to a rough start. They can’t seem to stop bickering, and they don’t have any travel experience. Cultures clash when they meet two loud Italians who talk over their row on the flight over. Things only get worse when the two groups end up sitting in the same section at the match. If they’re going to enjoy the game, they’ll need to overcome a language barrier and extend their perspectives to a world that is larger than their own. Director’s Note: The students of the Italian and Academic Writing courses have prepared a wonderful play that features both the English and Italian languages. They have concocted a clever story that features silly misunderstandings, enlightening moments of finding common ground, and, of course, football! We hope you enjoy the show! All four performances were filmed and can be viewed in the clip below. Photos can be found here. English Drama 2-4 presented the original film Culture Shock, which was directed by Stephanie Figer and Jami Reimer and written by the students of TSP English Drama 2-4. Synopsis: Every place has its own culture, governed by social contracts that have been formed over many years. We expect that people will act very differently at a shrine than they would at a football stadium, for example. But what happens when someone just doesn’t get it—or just doesn’t care? Director’s Note: The English 2-4 students have worked hard to combine elements of film and live performance in this show. In the first week the class had many discussions about how human beings often misunderstand each other unnecessarily. We hope that you enjoy their playful spin on this theme! English 5-7 presented Disaster Date, which was directed by BriAnna Johnson and written by students Kerem Uygun, Julio Rebuffo, and Sofia Copetti. Synopsis: Jessie and Johnny were set up on a blind date and end up in the hands of a waiter who has no idea what he is doing. Will they make a connection? Will the waiter ever get their order correct? This is one disaster you won’t want to miss. French Drama/Dance presented the original film Clair de Lune, which was directed by Dale Thiessen and Sofia Naït and written by French Drama students and teachers. Synopsis: Partners in crime Paula and Polina decide to host a party in order to steal a briefcase of money from a rich guest. Two seasoned criminals, Aziz and Bria, break out of prison in order to attend the party for the same reason. Who will end up victorious? 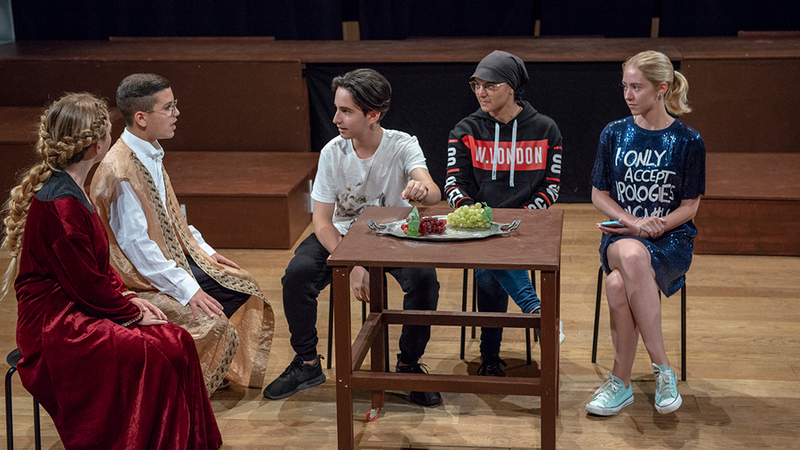 English 8/IB Skills Drama presented The Voice in My Head, which was directed by Sandra Preciado and written by students Mina Yucelen, Lukas von Stein, and Faisal AlAli. Synopsis: Z has an important day ahead, but he has started off on the wrong foot. The voice in his head is not helping make the day any better. We all have voices in our heads. Sometimes, on bad days, they may get too loud. Be kind to others. Be kind to yourself. You are much better than you think. Director’s Note: It has been a pleasure to create with this group of young artists. They have been passionate and eager from the very beginning, hoping to use the medium of theater to express a meaningful message. They found immense satisfaction with the collaborative process of sharing ideas, writing, staging, and the joy of leaving a footprint on the world through art. All four TSP Drama Performances were filmed and can be viewed in the clip below, and a photo gallery can be found here. TSP students also showcased their talents in the Palestra on the evenings of July 17 and August 9.Photo galleries can be found here and here, and highlights from the two performances can be viewed in the clips below. MSP students performed the original musical Three Days in the Palmer Center on the evenings of July 18 and August 10. The show was directed by Stephanie Figer, and the book was written by Figer and Sandra Preciado. The music was written by Jami Reimer, with lyrics penned by Figer, Preciado, Reimer, and the students in the MSP Musical Theater course. Samantha Forrest served as musical director for the session one production while Reimer took over in session two. Preciado handled choreography for both performances. Synopsis: Monica has received a strange gift certificate in the form of a poem. It is not a tangible gift but a magical experience! She has been awarded three days of magic. On day one, she visits a magical island where all things she wishes for will be given to her. On day two, the inhabitants of a garbage dump will help her discover some truths about her possessions and her family. On day three, she gets to choose whether to use or lose the knowledge she’s acquired. Does she need all the stuff she wants? Does she want all the stuff she buys? Are there more valuable things in front of our eyes than what we are looking for through the shop-windows? Creator’s Note: Born out of the need to talk about a sustainable planet for coming generations, Three Days was the product of a collaboration between artists from Canada, Mexico, and the United States, along with the Musical Theater Course students. Monica’s magical journey is an invitation to reflect on why we consume more than we need, and why sometimes we tend to pay more attention to our possessions than to the people around us. This show has been greatly shaped by the Musical Theater Course students. They have shown such passion and connection to the subjects in the musical, especially through their lyric writing. In this exercise, the kids expressed their thoughts and feelings. their words were then used to write the songs “Ripples” and “Finale.” The kids have proven through their lyric and song writing that their enthusiasm for a better world should make us feel hopeful and excited for the future. The performances of Three Days were filmed each session and can be viewed below while photo galleries can be found here and here. 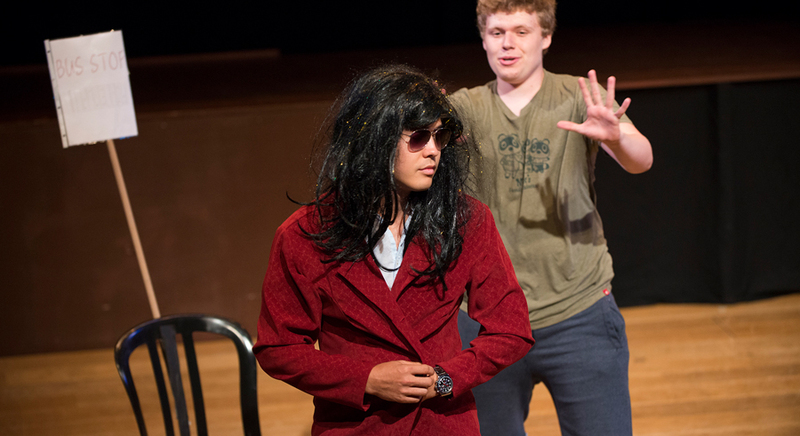 On the afternoons of July 18 and August 10, actors from the Dedicated Performing Arts Team performed original comedy skits written by students from the MSP Comedy Writing class. The session one performance can be viewed below, and photos from the session two performance can be found here. MSP Final Night was captured on film each session and can be viewed in the clips below. Photo galleries can be found here and here. 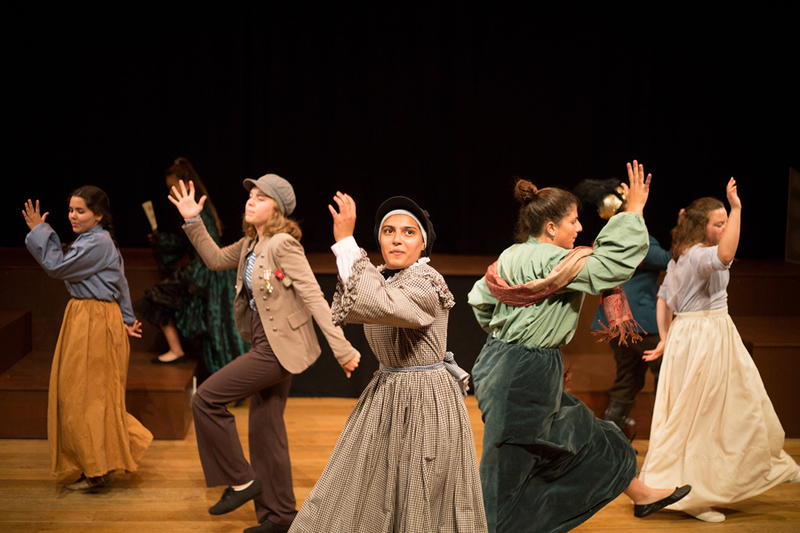 CDE students performed the original musical Miss Helvetica in the Palmer Center on the afternoons of July 18 and August 10. The show was directed and choreographed by Devin and Elizabeth Clevenger. Chris Rayis wrote the book, music, and lyrics and served as musical director. Synopsis: A group of students prepares to learn an unusual kind of history lesson from their eccentric and magical teacher. Miss Helvetica, dedicated to giving her wards a hands-on experience, leads her class through the great places and personalities of Switzerland with one mind-boggling, time-traveling adventure after another. Miss Helvetica was filmed each session and can be viewed in the clips below, and photo galleries can be found here and here. CDE students performed the original drama production Brutto in the Palmer Center on the afternoons of July 16 and August 8. The show was written and directed by BriAnna Johnson and Genna DeFalco. Synopsis: This story is a twist on the well-known classic The Ugly Duckling. It begins in the not-so-far-away town of Lugano, Switzerland, where a Father duck is waiting for his ducklings to hatch. Just then another strange-looking egg appears. Through this story, Brutto the ugly duckling is faced with challenges and seeks a place where he belongs. In the end we are reminded that it’s important to be yourself and that it’s who we are on the inside that counts because love is universal. Director’s Note: Students in CDE Drama have been working together and building self-confidence through fun and engaging drama activities. They have learned different acting and vocal techniques and have worked hard to memorize their lines for their performance. This class has provided an introduction to the world of theater, and we are so excited to show everyone what we have been working on! The session one performance of Brutto was filmed and can be viewed in full below, and photo galleries from each performance can be found here and here. CDE commemorated the end of each session with a series of excellent performances in the Palestra on the afternoons of July 18 and August 10. 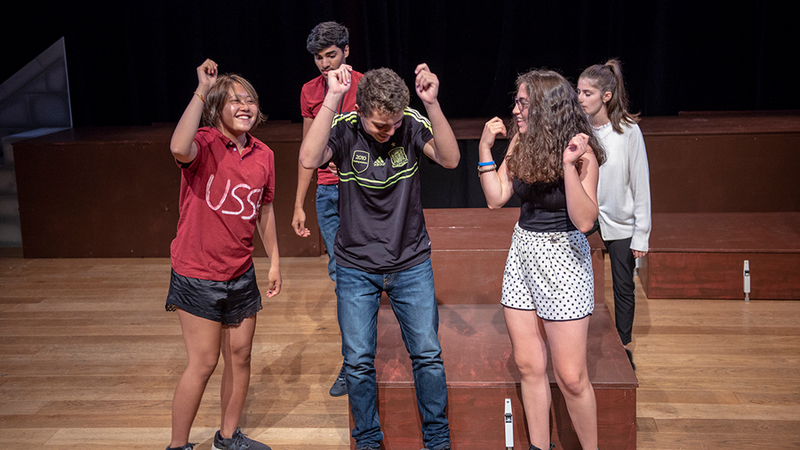 Students sang songs in multiple languages, danced, showcased their musical instrument skills, and, following CDE Director Meagan Vincent’s farewell remarks, closed down the session with a stirring performance of Todd Fletcher’s “Together”—a time-honored tradition in the TASIS Summer Programs. CDE Final Night was filmed each session and can be viewed in the clips below. Photos can be found here and here. The Summer Arts Festival also included an exhibition of the many impressive art and design projects created by CDE, MSP, and TSP students. Visual Arts offerings over the course of the summer included Art Activities (CDE), STEAM (CDE), Robotics (CDE), Art Enrichment (MSP), Design & Draw (MSP), Digital Photography (MSP and TSP), Studio Art (TSP), Landscape Painting (TSP), Architecture and Design (TSP), Fashion & Textile Design (TSP), Sculpture (TSP), and Studio Project Art (TSP). Photo galleries from the Visual Arts Exhibitions can be found on the TASIS SmugMug page: session one and session two. 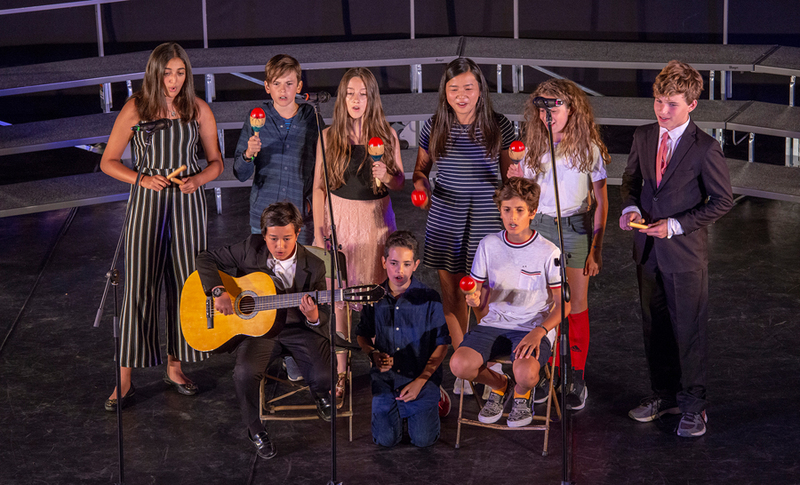 In addition to all the performances throughout the Summer Arts Festival, the Dedicated Performing Arts Team provided students and staff several entertaining Cultural Events. These performances were filmed and can be viewed below. Counselors, teachers, and staff from all programs performed for students in the Palestra on the evening of June 25. DPAT entertained students and counselors with an excellent Musical Revue on the evenings of July 2 and July 30. The initial performance was filmed. The final Cultural Night of session one on July 9 featured amazing performances from contemporary circus performer Nicola Bruni and aerial contemporary circus artists Simona Gallo and Chiara Gorrieri (Cadute dalle Nuvole). 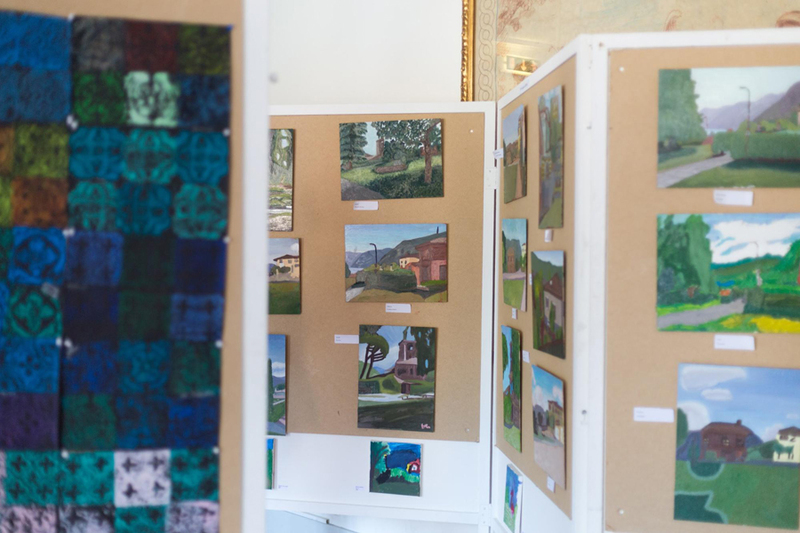 Learn more about all this community of professional artists does to transform the lives of TASIS students each summer. Many more outstanding photographs from the 2018 TASIS Summer Programs can be found on the TASIS SmugMug page.